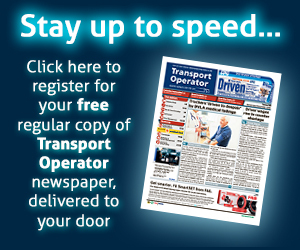 Commentators had all but given up predicting where the Brexit process would take Britain next as Transport Operator’s print edition closed for press in early April. By the time the newspaper had been distributed, EU leaders had postponed the UK’s exit from the bloc until Halloween, with the option of an earlier exit should a withdrawal deal be approved by Parliament before then. After the original 29 March deadline was superseded by 12 April and Prime Minister May’s deal was defeated a third time, scenes unprecedented in the UK’s democratic history saw backbenchers wrest the steering wheel of the parliamentary timetable from the government last month, and jumpstart their own legislative process. But Mrs May’s decision to seek a further Article 50 extension, and ongoing negotiations with Labour leader Jeremy Corbyn, suggest that a ‘softer’ Brexit is now likely – which will have come as a relief to some in the road transport sector concerned about the operational impact of a ‘cliff-edge’ departure. Meanwhile, the road ahead for international hauliers is looking slightly less precarious, at least until the end of this year. Even prior to the extension of the deadline, the government had confirmed that, even if the UK were to exit the EU with no deal, UK hauliers would be able to continue to use their existing EU Community Licences until 31 December 2019 to operate within the EU without requiring additional permits, thanks to reciprocal contingency arrangements. These arrangements, which will now apply after the new 31 October deadline in a no-deal scenario, would allow continued journeys to and from the UK (for example, a journey from the UK to Germany, or a journey from Italy to the UK), and journeys through EU countries to reach another EU country (for example, driving through France to reach Spain). The rules on cabotage and cross-trade, however, would change from the day of Brexit; and new limits to these activities would apply. According to current agreements, operators would be allowed to carry out two cabotage or cross-trade journeys within seven days of making an international journey until 31 December 2019. Trucks must return to the UK (either laden or unladen) after completing cabotage or cross-trade, and after 31 December, no cabotage or cross-trade journeys would be allowed. However, it is possible that the no-deal contingency arrangements will themselves be extended as the next deadline approaches. Under the contingency arrangements: “you will not be allowed to drive through the EU and EEA to a third country, for example, driving through France to get to Switzerland, without an ECMT permit,” added the Department for Transport. “If you get a new international operator licence or renew your licence from April 2019, you will get a ‘UK Licence for the Community’ instead of an EU Community Licence. The DfT further clarified: “If there is no deal, you can use your Community Licence for journeys to and from Ireland, journeys through Ireland to other EU or EEA countries, or journeys through Ireland between Great Britain and Northern Ireland. In addition: “The UK has signed transport agreements with Switzerland and Norway. The agreements ensure that UK hauliers can continue to drive in Switzerland and Norway using a Community Licence after the UK leaves the EU. The reciprocity of the contingency arrangements means that EU hauliers would also continue to be able to move goods in the UK. “This includes journeys to and from the UK, through the UK and cabotage within the UK,” said the DfT. However, DfT warned that the EU may not recognise UK-issued Driver CPC qualifications after Brexit. “If you have a UK Driver CPC, and are currently working or planning to work for an EU company, you may want to exchange your UK Driver CPC for an EU Driver CPC before the UK leaves the EU. RHA policy director England and Wales, Duncan Buchanan, said the confirmation of the reciprocal agreement in the case of a no-deal Brexit was “very helpful”. “The majority of UK-EU international road haulage can move without the complexity of needing ECMT permits which means many operators will no longer need the permits they’ve been allocated,” he said. Meanwhile, the government’s trailer registration scheme is now open. It requires commercial trailers weighing over 750kg, and non-commercial trailers weighing over 3,500kg, to be registered before they are towed to our through most EU and EEA countries. DfT said: “If the UK leaves the EU without a deal on 31 October 2019, some EU and EEA countries may also require a separate Green Card as proof of insurance for trailers.